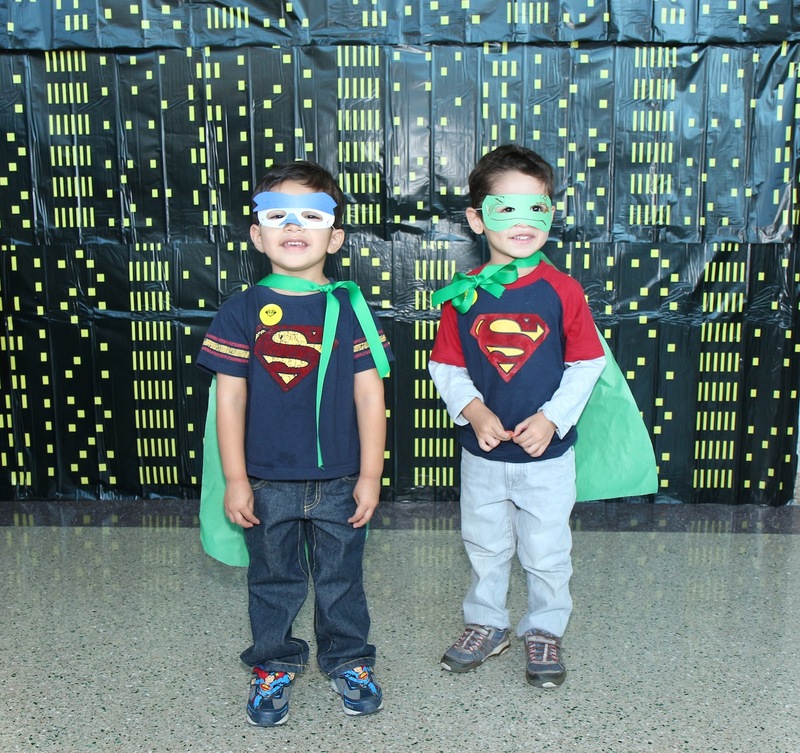 A pair of “Superboys” keep their identities secret with their handmade masks and capes! On Saturday, October 12th, JANM presented a comics-themed Target Free Family Saturdays event that celebrated the opening of the exhibition, Marvels & Monsters: Unmasking Asian Images in U.S. Comics, 1942-1986. The day was jam-packed with loads of entertainment and activities! From a guided Gallery Tour with curator Jeff Yang, to a Photo Booth that snapped photos of guests in their costumes, there were activities that took place all day for people of all ages and interests! Thanks to all the visitors who joined us, and a BIG “Thank you” to every staff member and volunteer for helping! Check out these photos from the October Target Free Family Saturdays event! Kidding Around the Kitchen inspired guests to choose and cut up their own trail mix. Kidding Around the Kitchen leads children, teens, and adults in making their own healthy popcorn trail mix. Carefully decorating a butterfly-shaped mask. Showing off a one-of-a-kind mask! JANM’s School Programs Developer, Lynn, busily assists and leads guests in creating their own superhero capes. “Superboy” decorates his personal cape. Even toddlers can decorate their own capes with the help of their parents! Children pose as a superhero with their masks and capes, and can have their photo captured and printed. WWII veteran and JANM docent, Hitoshi, transforms himself into a superhero! Jeff Yang worked with artist Jeremy Arambulo in an interactive activity where they lead the audience in collaboratively creating an original comic-book superhero character! Artist A.L. Baroza joined Jeff Yang in collaborating with the audience to “Build a Villain”. Jeff Yang signs copies of the “Secret Identities” anthology. A group of buddies team up to take down villains in superhero video games brought to JANM by GameTruck. A caricature artist from Cartoon Slinger is busy at work turning children into comic-book characters! Siblings mask their identities with their customized masks and capes, and pose with their caricatures. “Supergirl” and “Superboy” pose for the camera with their caricatures. Photos by Tsuneo Takasugi and Richard Murakami. Recap of 2013 National Conference! LA Voters make JANM Los Angeles’ “Best Museum”!